The core and the main moving force of the organization. Alexey leads the rosters that are only aiming for the victory and it's achieved with honor and high performance. 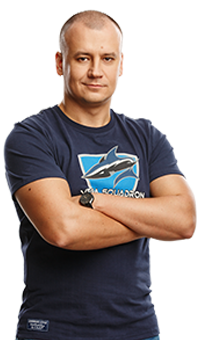 Knowledge of each and everyone in the organization leaves a mark on Vega Squadron name, making it the most demanded and close to the fans in the CIS and beyond.